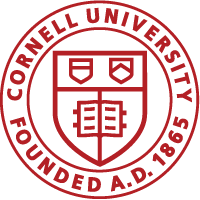 The University Audit Office (UAO) serves as the internal auditing function of Cornell University (the University). The UAO is an independent and objective assurance and consulting activity that is guided by a mission to enhance and protect organizational value and improve the University’s operations by providing risk-based and objective assurance, advice, and insight. The UAO assists the University in accomplishing its mission and objectives by bringing a systematic and disciplined approach to evaluate and improve the effectiveness of the University’s governance, risk management, and internal control processes. The University Auditor, established by Article IX of the Bylaws of Cornell University (Bylaws), serves as the Chief Audit Executive and leads the University Audit Office (UAO). The UAO’s responsibilities are established and authorized by the Bylaws and the Audit, Risk, and Compliance Committee (ARCC) of the Board of Trustees as part of its oversight and governance role. Click here to view the University Audit Charter.